This service will no longer be available after March 15, 2019. Members Exchange offers an alternative payment service, Pay a Person, provided through Online Bill Pay. VIEW A DEMO: Watch this quick video and see how easy it is to send money to anyone with Pay a Person. 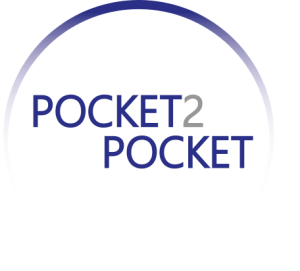 POCKET2POCKET (P2P) allows you to send money to your friends and family from your Members Exchange account instantly! Using your Members Exchange VISA Debit Card, your recipient can immediately receive funds by debit card, or within 2-3 days via electronic deposit (ACH). Fast – Real time. No more waiting for transactions to clear. Easy Send – No physical cash or checks, and no new passwords to remember. Easy Deposit – Near real-time deposit; no need for branch visits. Easy Receipt – Acceptance via mobile device or web-based payment. Automatic Return if Not Accepted – Funds automatically refunded to your account if not accepted within 10 days. Highly Secure – Trusted user interface and patented scrambled PIN pad technology. Simple – No pre-registration required. Save information for future payments & view history by registering. Economical – Send transactions up to $500 for only $1 per transaction. If you have questions about making P2P Transfers, please contact Members Exchange.